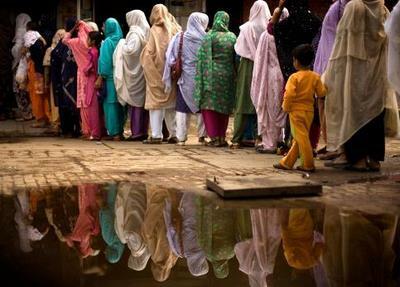 People queueing for food at the entrance of a shop near Islamabad. The cost of food and fuel increased significantly in Pakistan, forcing more and more people to turn to public aid. Check for more "Pictures of the Day" and other posts about the global food crisis on The Road.